An Air Force veteran who served in Afghanistan, Biology major Edwin Yu is now pursuing a career in dentistry. High School: Fort Hamilton High School. Employment: MGA's Student Success Center. Primary Campuses: Cochran and Macon. Activities: "The Cochran Campus Science Club has taught me a lot about not only science but the history of the region through various field trips. I am also a member of the MGA Technology Resources Committee. I enjoy having an active role in things that go on around the University. I also volunteer at the Macon Volunteer Clinic." Career Goals: "While working at a bank I met a dentist who piqued my interest in the profession. He encouraged me to take part in an event that provided free dental care to Georgia residents who couldn't otherwise afford it. I discovered that many dentists participate in such events, and they take seriously their obligation to provide oral health education and treatment. I am starting dental school in the fall at the University of Pittsburgh and hope to graduate and start my own practice. I jokingly tell my friends that I am still trying to figure out what I want to be when I grow up because I've done a lot of things. I started off in the accounting field, then I joined the Air Force. Afterwards, I went into retail banking. It is impossible to know where life takes you. I really enjoying learning and may even get into research or teaching one day." 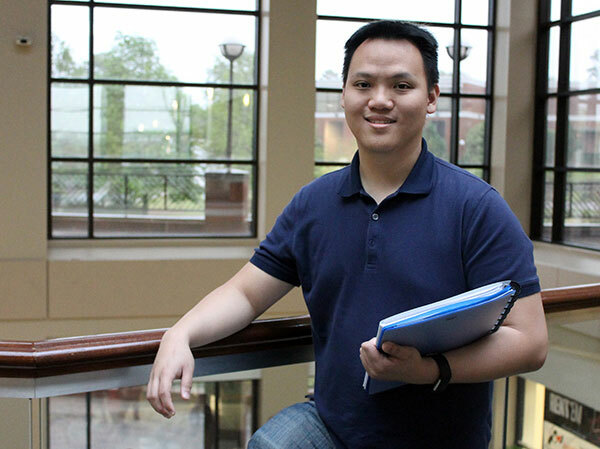 He chose Middle Georgia State University because ... "It has a great community setting and an affordability that is unbeatable." The greatest thing he discovered about Middle Georgia State after he enrolled was ... "The classes are small and the faculty takes a genuine interest in students. The classes are not taught by teaching assistants. Students get the benefit of learning from full professors." His greatest academic experience so far as a Middle Georgia State student has been ... "Working at the apiary (bee hives) we have on the Cochran Campus. I got the chance to suit up and work with the bees with Professor Gloria Huddleston." To him, “greatness” means ... "Giving it your all in everything you do, work or play. Sometimes we get so caught up in trying to reach our goals in life that we forget to slow down and just enjoy the moments." One thing people don’t know about him is ... "I was in the Air Force for six years and achieved the rank of captain. I served in Afghanistan. Robins Air Force Base was my last duty station." In five years ... "I hope to have graduated from dental school and started my own practice. I also see myself being actively involved in the community."